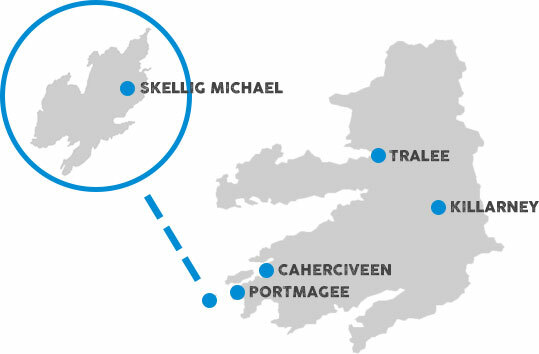 Experience the best that the Wild Atlantic Way has to offer and join us on a boat tour to the Skellig Islands. 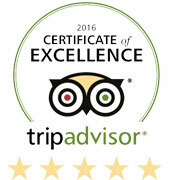 A World Heritage site, and so listed with Mount Everest and the Great Barrier Reef for its significance to humankind, you’ll be glad you made the trip. 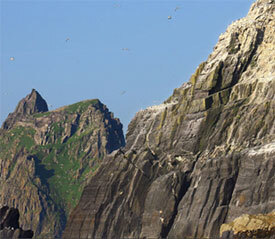 The Skellig Islands float on the Atlantic Ocean, twelve kilometres off the coast of county Kerry. 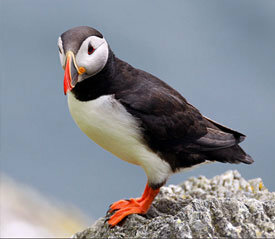 When you first reach the Islands you will be struck by their rugged beauty – as they scale some 700ft above you. An internationally renowned bird sanctuary, you’ll encounter a wonderful array of birdlife as you climb the six hundred steps to the peak. 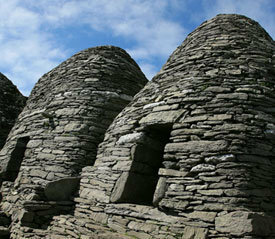 Here you’ll find one of the oldest and best-preserved monasteries in Europe. At the summit allow your imagination to take you back to the time of the Monks or to transport you to a ‘Galaxy far far away’. 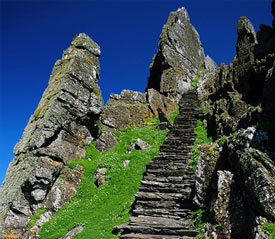 The makers of Star Wars were so taken by the Skelligs rock that they used it as a location for 2 Star War movies “The Force Awakens and The Last Jedi.